Professional. 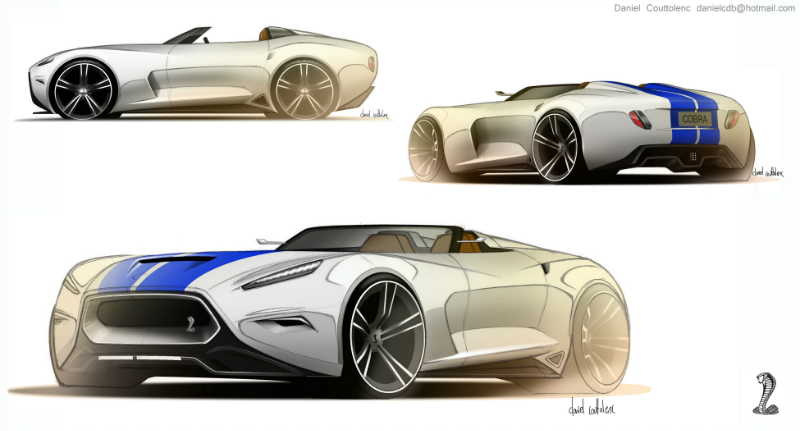 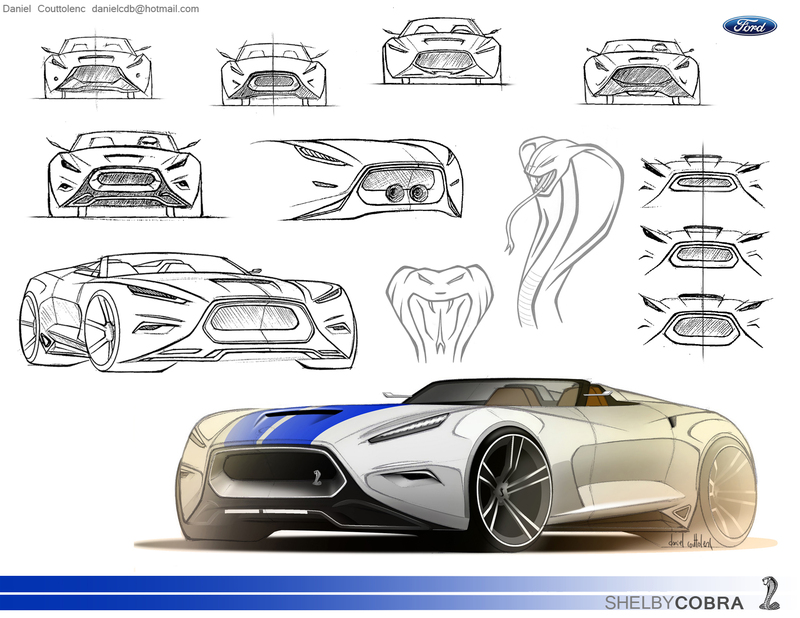 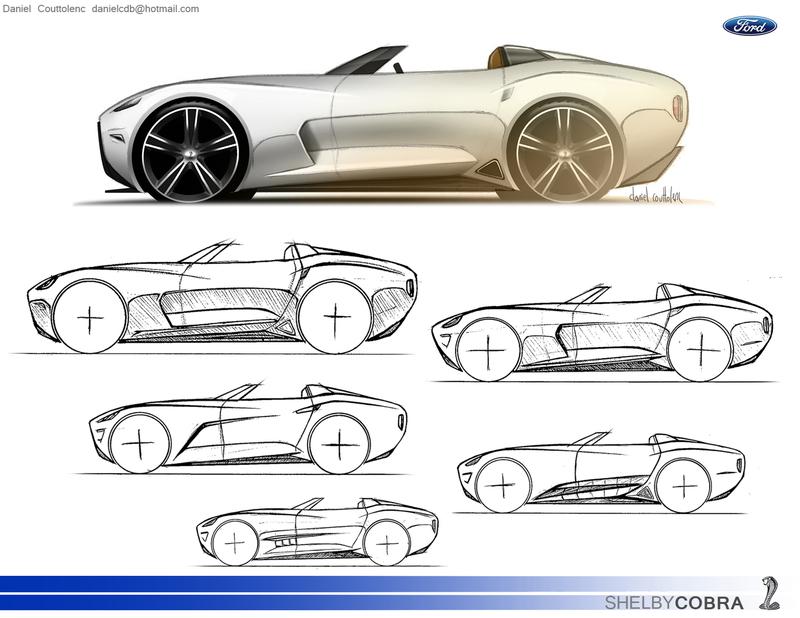 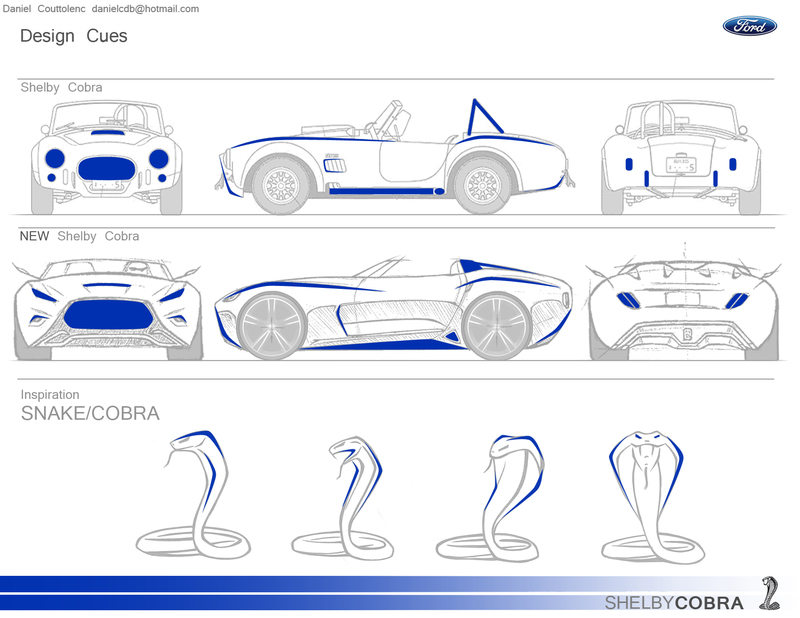 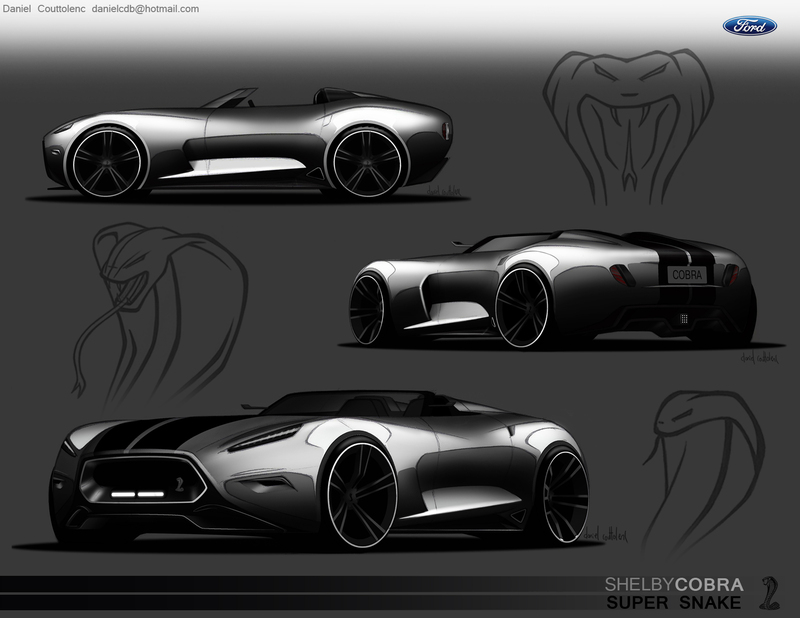 Daniel Couttolenc got into his modern Shelby Cobra study seriously – you may see his analysis on various things such as the original car, the latest official concept, human muslces and car badges. 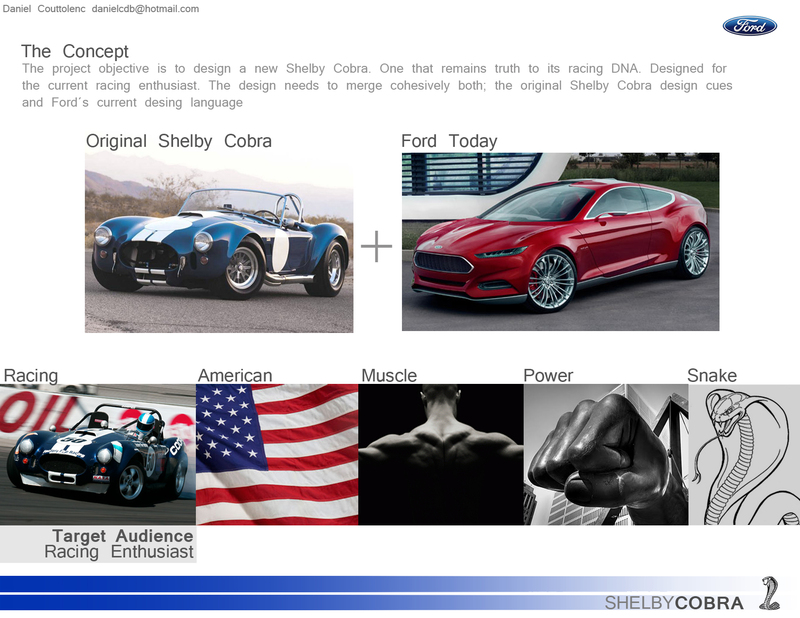 Daniel’s aim was to design a modern Shelby Cobra that would combine the old school with new school and would scream racing DNA. 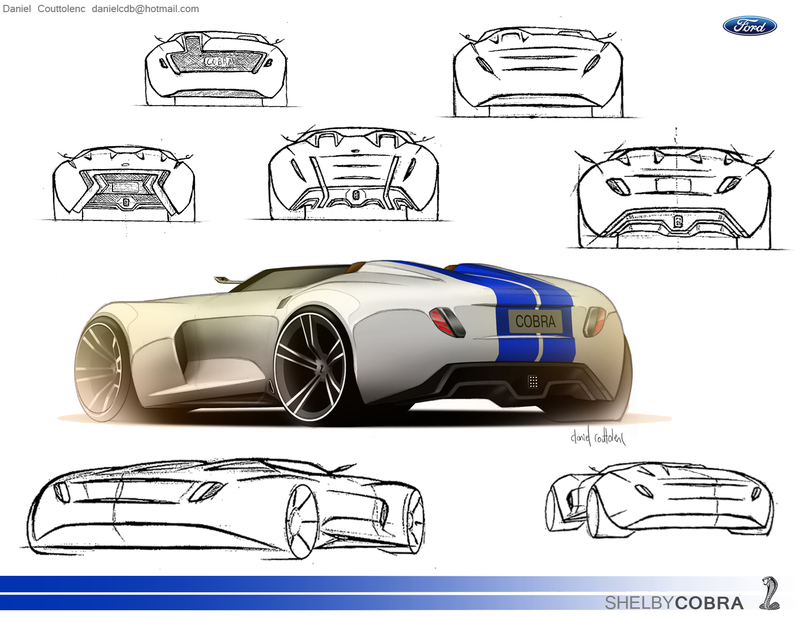 Ford, as you see, there are plenty of seriously good designers such as Daniel, that should get your attention, ’cause sometimes you … Well, let’s just say, do not ignore what you see done by others.